Your satisfaction is very important to us at Woolsweaters.org.uk and we appreciate and welcome your comments and feedback. 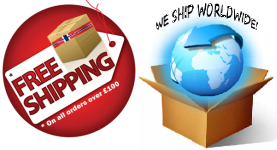 We pride ourselves in providing you with a first class worldwide delivery and customer service. If you have any comments, questions or need further information, please don't hesitate to contact us by email or through the contact form below. We aim to respond to all our customers within a few short hours, (due to varying world time zones) or at the latest within 24 hours during business hours. Reach out to us and we'll respond to you as soon as we can. Copyright © 2014 - 2019 woolsweaters.org.uk All Rights Reserved.